How does a slice of a $4.5 trillion pie sound? That’s the expected global revenue from ecommerce sales in 2021. If you haven’t launched one already, now’s the time to figure out how to start an ecommerce store. Even if your store is live, you should still look into optimizing your ecommerce marketing strategy. However, learning how to set up an ecommerce business and maximizing revenue is much more than uploading product photos. Everything from setting up how to process payment to deciding what shipping provider to partner with requires knowledge and understanding you may not have even considered. And when it comes to ecommerce marketing, it’s important to know how best to stand out from the crowd. It’s not so hard to enjoy a piece of this multi-trillion dollar pie. However, you need to know what to expect. We’ll discuss how to set up an ecommerce business in a step-by-step process. Also, we’ll explore how to optimize your ecommerce strategy so you can maintain success. You can’t start selling products and earning revenue if you have no way for customers to actually pay. The importance of setting up a system for shoppers to pay is pretty self-explanatory. If you already have a retail storefront. . . If you have a brick-and-mortar location, make sure your POS integrates with your ecommerce site. Shopify is an excellent example of an omni-channel POS. They assist with setting up a branded online store, processing payments, and managing inventory. By integrating with an online POS software, you ensure a seamless shopping experience for customers. If you’re only selling online. . . If your ecommerce strategy is solely based online, you can bypass the need for setting up a POS and go right to choosing a payment gateway. A gateway not only verifies billing information and funds, but is also a secure method for requesting and processing payments. Some may require you to set up a merchant account. Others – like PayPal – host transactions on their site so don’t require a separate account. Though these do offer peace of mind by handling all data security and PCI compliance, a modern gateway like PayPal or Stripe will charge higher per-transaction fees. If you’re still small-scale, these fees aren’t overwhelming. However, the more you scale your ecommerce strategy, the more these can add up. Consider the turning point at which you use an integrated payment gateway, instead of relying on a hosted one. One thing to keep in mind regardless of whether you’re only online or have a physical presence is that global payment preferences vary. In China, for example, eWallet platforms like Alipay account for 62% of total payments. Meanwhile, SEPA Direct Debit is the preferred payment method of 45% of European shoppers. Overall, credit cards and digital payment systems are the most popular ways to pay (53% and 43%, respectively). In all likelihood, you’ll have shoppers from all over the world. In a recent Nielsen survey, 57% of online shoppers say they made a purchase from a retailer outside of their borders in the past six months. Consider where in the world most of your customers live. This will determine how they prefer to shop online, and you can then offer those options at checkout. Don’t, for example, miss out on Germany’s 14.1 million shoppers that use Giropay if you have a strong following in that region. As you ask yourself how to start an ecommerce store, one of the things you’ll need is a platform for your business. There are many things to consider when deciding what ecommerce platform is right for you. Secure: The site should support HTTPS/SSL and be PCI-compliant. Easy to integrate: Your ecommerce strategy can be a whole lot more effective if your platform provides integrations like email and accounting services. The right price: You’ll have to pay for the platform, so consider the pros and cons of each before committing. Additionally, you should set up your online business so that’s it’s accessible and optimized across both desktop and mobile. Consider the fact that over 40% of online transactions in the U.S. were completed on a mobile device between June – September 2017. Internationally, the number of smartphone shoppers also hovers around this percentage. Clearly, having both a desktop- and mobile-optimized version of your store website is essential for any ecommerce strategy. There are a few other points to keep in mind for how to start and ecommerce store. First, make sure your site is in the language of shoppers. Studies have shown that 75% of online shoppers prefer to make a purchase in their native language. Second, include high-quality images of products on your site. 67% of online shoppers believe product images influence their purchase decision more than reviews or descriptions. Third, provide filter options so shoppers can easily navigate your ecommerce store. Try to create filters and sorting options you think your customers would use – and include a few creative ones that you can’t find easily on competitors’ sites. For example, ShopBop includes the ability to Sort By “Editors’ Picks”. This engages people who are just browsing, keeps them on your site longer, and increases conversion potential. Fourth and finally, show recent shopping history. Though it may seem like a small detail, reminding visitors what they recently viewed and related items is one of the most effective ways to cross- and upsell. Regardless of your vertical, providing recommendations based on shopping history makes the ecommerce experience feel more personalized. Options for ecommerce shipping and delivery will vary depending on the size of your business and what products you’re shipping. Direct fulfillment means you own your inventory and handle all packaging and shipping internally. How much shipping cost do you pass along to the customer? What type of packaging will you use? Which carrier will you ship with? Do you need more employees and extra space for your inventory, like a warehouse? For shipping cost, consider offering free shipping to your customers. When checking out, 72% of online shoppers believe a free shipping option is important. And based on research from Neto, it’s also the second most important factor when making a purchase decision. If you offer free shipping, consider doing so only after a certain order size has been reached in order to save on costs. Alternatively, you can pass along the cost of shipping to customers. Doing so means opting to either charge real-time carrier rates or a flat rate. Flat rate is best if you have products that are generally the same size and weight. One of the major advantages of self-fulfillment is the ability to brand your packaging. Consider your packaging an extension of your ecommerce marketing strategy. Brands like Everlane show the opportunities to personalize customer packaging. Doing so increase customer loyalty and satisfaction. When you’re ready to ship your product, you need to decide which mail carrier to send it with. This is one of the most tedious parts of self-fulfillment because you need to print and process the packing label yourself. It’s also a good idea to compare and contrast shipping rates among the major U.S. carriers to determine the best option. Top companies like UPS, USPS, DHL Express are all worth investigating. If you plan to ship internationally, consider what customs forms, duties, and taxes will be required. To streamline fulfillment, consider adopting software that helps you manage and maintain shipping operations. Whether you self-ship or partner with a third-party fulfillment center, these programs can be lifesavers. ShipHero and ShipStation are both popular options to manage the entire fulfillment process from start to finish. Third-party fulfillment allows you to hand off storage, packing, and shipping operations. With this method, you have more time to focus on internal operations, like your ecommerce marketing. It also saves you the headaches outlined above with self-fulfillment in terms of packaging and processing. Additional storage space for your inventory: These vendors have fulfillment warehouses, which can accommodate massive amounts of inventory. This means you have a greater ability to scale up without worrying about how to expand your physical HQ. Reduced shipping costs: A 3PL handles bulk shipments for multiple clients, so can offer you a better deal on your packing and delivery rates. Partnering with an outside fulfillment source can be costly and require you to bring on more employees to assist with fulfillment. Warehouse storage, receiving, picking, and packing fees can all add up. Before considering 3PL for your ecommerce fulfillment strategy, take a close look at the numbers. Conducting a cost-benefit analysis will help you determine if having someone handle fulfillment for you outweighs the price. Also recognize that you may lose the ability to brand your product as effectively as you’d wish. By handing off control of packaging, you’ll have to come up with other creative, ecommerce marketing ideas. Deciding which third-party to work with depends on your vertical, the products you sell, and your sales volume. One of the most popular 3PLs is Amazon (no surprises there). Their Fulfillment by Amazon (FBA) services let you just ship your products to their fulfillment centers, and they handle the rest of the process of getting orders to customers. You can also consider a niche third-party fulfillment partner. For example, Printful is a 3PL focused on apparel, accessories, posters, and on-demand printing. There are many other companies that are focused on providing services for specific industries, sales volumes, product weights, and more. Finding the right one is a matter of research and trial-and-error. The drop-ship model is unlike the other two in that you don’t actually own any inventory. Instead, you purchase the product from a third-party vendor once an order is placed on your site. By purchasing your products at a premium from a wholesaler or other cheap distributor, you can make a profit. There are certain high-margin products that you could look into in order to maximize this ecommerce strategy. Clearly, the major benefit of dropshipping is not worrying about any of the hassle of stocking inventory, packaging, and shipping. Because it’s so easy to get started, you can also use dropshipping for testing out new products. Once you determine if there’s a demand for such a niche item, you can then create it on your own and either self-ship or partner with a 3PL. The low overhead costs, ease of entry, and ability to scale also makes this an excellent ecommerce strategy if you want to sell a wide variety of products. There are some big risks to dropshipping as a result of the completely hands-off process. With zero control over quality, packaging, and shipping, you are vulnerable to more problems. This makes it even more important to partner with a dropshipper you can trust. The other major concern with dropshipping is its low profit margins. By working with a middleman for product sourcing and shipping, you’re adding to your costs of doing business. Once you find a dropshipper to partner with, there are certain things they’ll request. The first is a product list that they provide based on what they manufacture and sell. With this, a dropshipper will also provide a minimum price to set in order to achieve a profit. They’ll also provide you with a fee structure. This is often $2 – $5, and is a per-order fee to cover costs of packing and shipping. As is often the case with wholesalers, you can expect there to be a minimum order amount. This is a safeguard on behalf of the dropshipper that ensures they’re only dealing with reliabel merchants. You should offer to deposit at least $500 to your account that can be used as credit towards your orders. This allows you to avoid making purchases that doesn’t correspond to customers’ orders, while still fulfilling the minimum purchase amount. One of the final pieces to consider in how to set up an ecommerce business is your marketing strategy. Finding new customers, building loyalty, and establishing a brand identity should all be goals of your ecommerce marketing strategy. So what is ecommerce marketing? These days, more and more ecommerce marketing is through social media channels. This, combined with the effectiveness of Amazon and Google Shopping ads means ecommerce PPC marketing is becoming more lucrative than ever. Deciding where to advertise your online business is the first step in an ecommerce marketing strategy. Amazon, Facebook, and Google all lead PPC marketing spend. 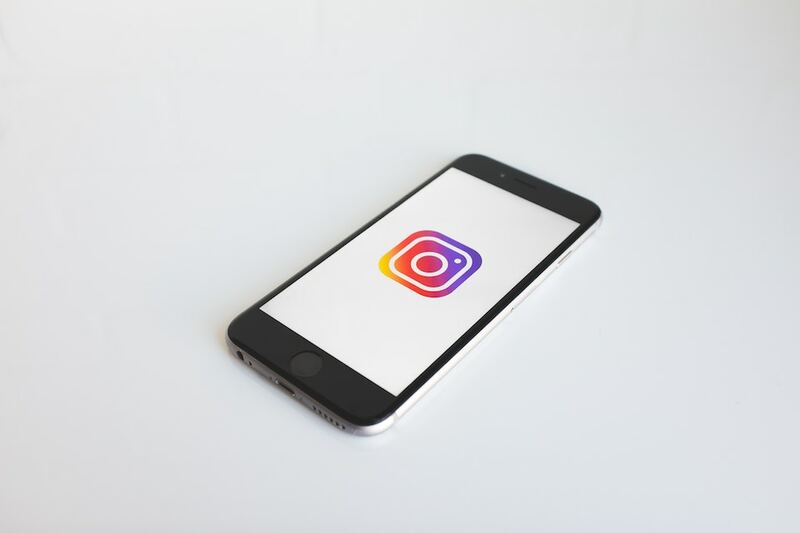 However, there’s also Instagram, which boasts over 1 billion active accounts, 80% of which follow a business on the platform. Plus, making a sale on Instagram is easier than you think. This platform boasts a 61% purchase rate from users after they’ve seen content related to a business. Don’t think you need to limit yourself to just one platform. In fact, expanding your ecommerce PPC marketing strategy across more platforms means greater visibility and access to wider audiences. Just be sure to always have a target audience in mind. Also, track your results so you’re not needlessly spending. Each platform will have different practices for optimizing ad copy, images, CTA, etc. On Facebook and Instagram, the key is to create on-brand copy and an eye-catching headline. Additionally, the image should be relevant and high-quality. Take a look at the ecommerce PPC marketing ads from Taktical client, Chinese Laundry. The snarky yet concise copy relates to audiences while still providing value and announcing the promotion. The headline is descriptive and helpful, with a clear CTA that tells customers what action to take. Lastly, the image is minimalist, bright, and relates directly to the content of the ad. For other platforms like Amazon and Google, your ecommerce marketing strategy should shift. Optimization on these sites still includes engaging content. However, additional features like customer reviews and a keyword-stuffed headline can be included. There’s also often a lack of a CTA on these ads. This means on sites like Amazon and Google, your ecommerce marketing success depends only on the image, headline, price, and customer reviews. 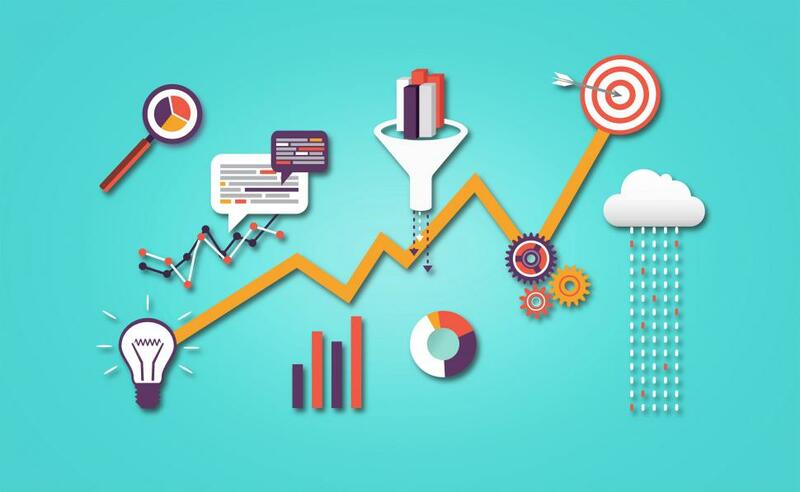 In order to prove your ecommerce PPC marketing strategy is truly a success, you need to analyze your campaign’s performance. There’s plenty of ecommerce software out there to help you accomplish just that. Alternatively, if you work with a top ecommerce marketing agency, performance reporting is part of the package. They’ll ensure you have the most up-to-date reporting and analytics. Additionally, they’ll provide expert insight into ecommerce marketing optimization strategies that you can apply for the lifetime of the business. Now that you know how to start an ecommerce store, it’s time to put the ideas into practice. Your success depends on you overall ecommerce strategy. With the right combination of savvy decisionmaking, marketing, and optimizing, you can have your most profitable online business. Use the tips above as you begin the process of setting up your ecommerce business. Then, let your intuition and the analytics lead you towards earning the best ROI possible.